Saturday was an Easter Egg Hunt up at church. This was the first time we participated at the one at Oviedo First United Methodist. 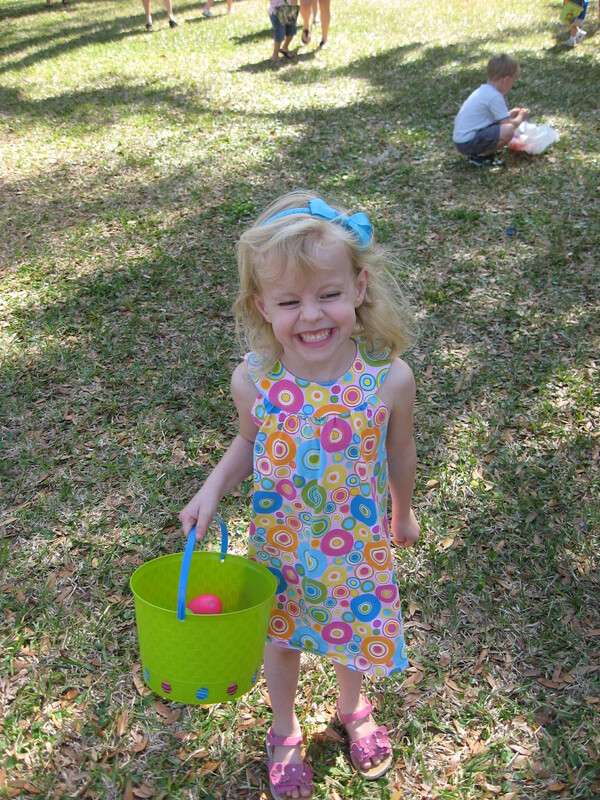 We had traditionally gone down to Winter Park’s Easter Egg Hunt. The “hunt” was divided up into age groups and Izzy was the first one out of the gate. She ran around, but there wasn’t too many eggs for the pre-schoolers. She only found nine. Next the First Graders and the Third Graders were going at the same time so Jennifer and I had to split up. Emily’s group ran around a playground and she found plenty of eggs over near the wooden play set. Abby’s group was the most complex. Their eggs were buried and were well hidden. Abby was rewarded by digging into a bag of sand and came up with a golden egg. 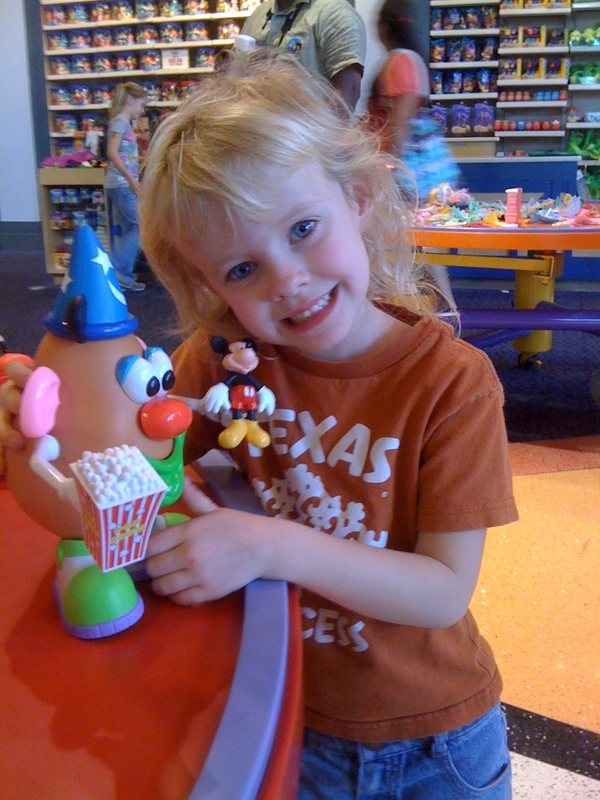 The egg contained a message saying that she had received a free trip to Vacation Bible School this summer. This past week I spent a couple of days going to see some Spring Training Baseball. The first day was this last Sunday where my friend, Tom Carbone, and I visited the Astros’ home field down in Kissimmee to watch the Astros play against the Mets. Tom was well prepared for the rain, but I guess I didn’t get the memo. The game was supposed to start at 1:00, but it was still raining a little bit and it wasn’t looking good when the tarp was still on the field. There was still going to be at least 30 minutes of warm-ups once the players got onto the field. They finally got the tarp off the field and the game started around 2:00. They got one inning in and the sky opened up. The players left the field and we waited for at least ten minutes in the rain waiting for them to announce something. Finally, they called it. The game was canceled. Fortunately Ticketmaster did refund the price of our tickets. Tuesday was going to be the big double header. Tom and I were going to drive down to Bradenton, just south of Tampa to see the Astros take on the Pirates. Unfortunately, Tom had to pull out because of an important meeting he had to attend for his company, 360Ed. He was a critical part of the meeting and I understood when he decided he couldn’t attend. So, I stood the course and attended the first game on my own. The first thing I noticed upon arrival was that I was in quite the minority at the tender young age of thirty-eight. Apparently weekday baseball is a social event for the retired people of Florida. I was surrounded by old people who were more interested in talking about if their friends were at the game than watch it. It was a good game. The Astros took the early lead and kept pounding it to the Pirates scoring almost 2 runs per inning. They ended up winning 11-1. The game ended around 3:45 and I had to rush to Lakeland, the home of the Detroit Tigers. It was an hour and a half drive and the next game started at 6:30. I met up with Tom and we headed over to the game to see the Tigers take on the Washington Nationals. Once again, the stadium was very nice for a Spring Training facility. 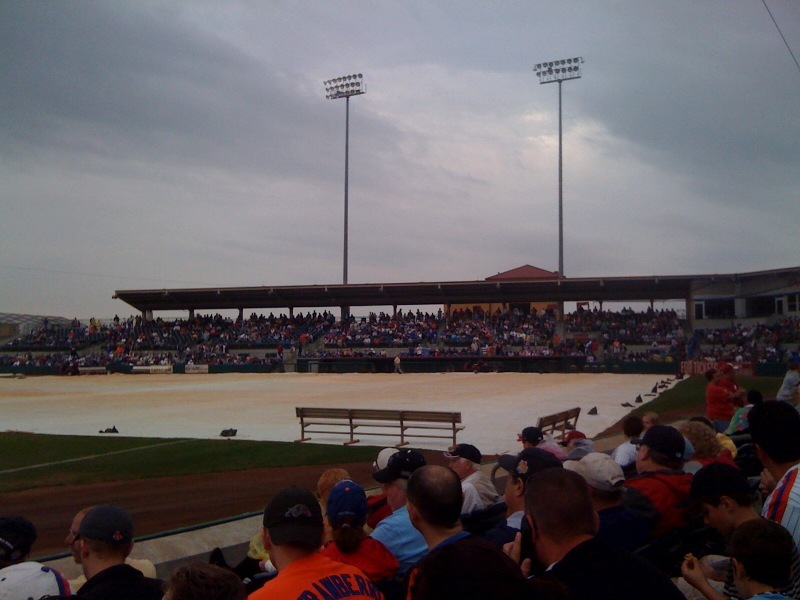 I then came to the realization that the Astros’ field in Kissimmee is just not up to par with the others. This stadium was huge. It probably sat six time that of the one in Kissimmee. 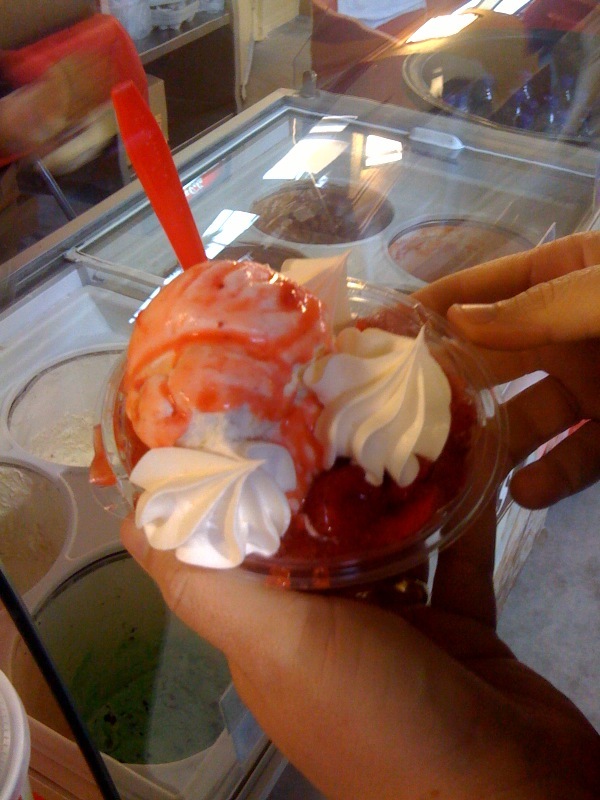 I discovered one of the great traditional disserts at Tigers’ games: their Strawberry Shortcake Ice Cream. It was a great day of baseball, food, and fun. I vowed to start making this trip something I do every year. Can’t wait until next year. It’s exactly three years ago this week that we bought our camper with the money we got back from taxes and now we’ve sold it. 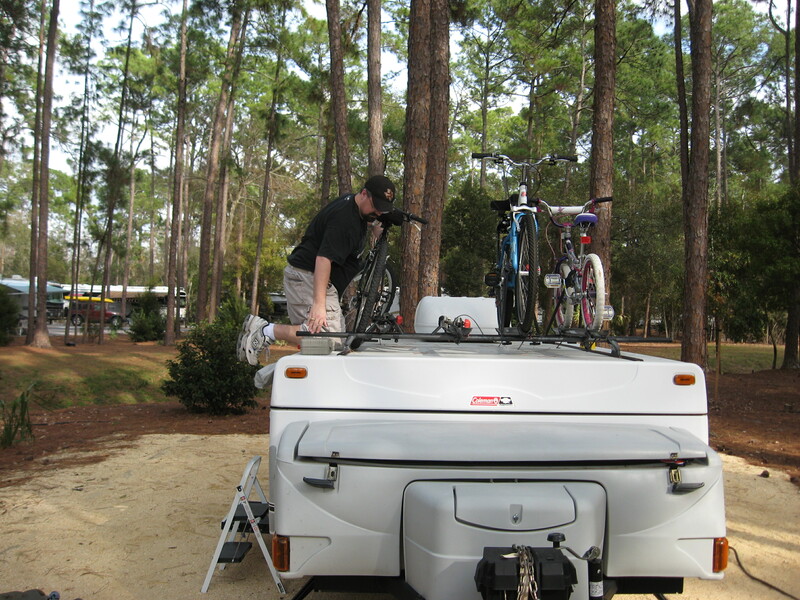 We had many great adventures in our camper, but with this last trip in January, we decided we wanted to have new adventures without it. Been there. Done that. Let’s vacation in style. So, we’ve taken the money that we received from the sale and purchased into the Disney Vacation Club. We’ll be staying at various resorts within the Disney Resort system. 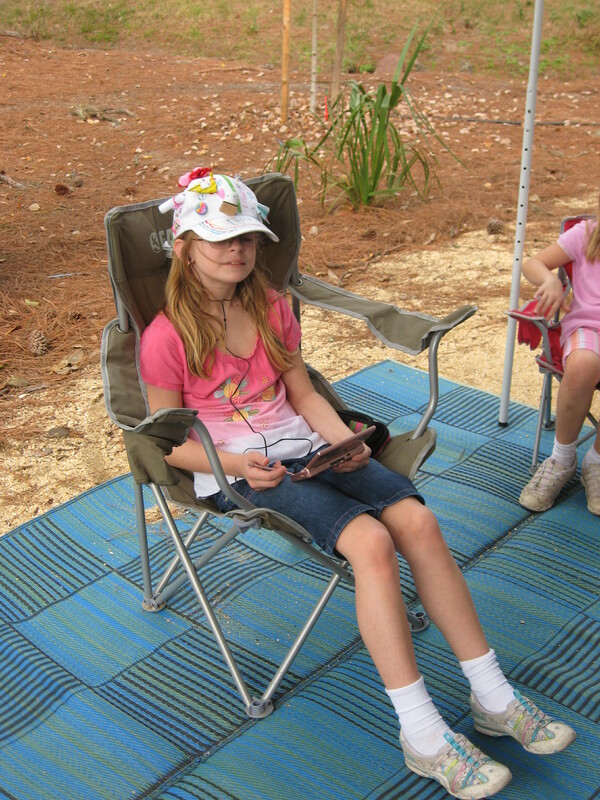 Going camping was becoming too much work. We just wanted to be on vacation and not feel like we were working. Goodbye Camper, it was nice knowing you. This week was an important week for Abby. It was the first time she had standardized testing. This week was the all important FCAT: the Florida Comprehensive Assessment Test. She must pass this test in order to move on to the third grade. The test was 1 – 2 hours for the past three days. One day of math and two days of reading. We are really worried that her reading isn’t where it’s supposed to be. I spend almost every night reading with her The Magic Tree House series of books. She has greatly improved, but we’re afraid that her reading comprehension just isn’t where it needs to be. We’ll see I’m sure we will get word in the next few weeks. Wish her luck. Yesterday Izzy jumped off a neighbor’s swing set and came home crying. She hurt her foot. It looked swollen, but after the initial shock of the injury, she appeared to be okay. Because it hurt to walk on, she was crawling around and insisted to be carried around. It didn’t appear to be an emergency, so Jennifer waited and took her to the Centra Care this morning. It turned out she didn’t break it. In fact the doctor said it’s very rare for kids her age to break a foot because their feet are still growing and most of their foot is cartilage and thus a lot of cushioning. Anyway, she appears to have sprained her foot. She was up and walking around today instead of crawling, so I guess it’s getting better. We’ve been lucky so far. No major injuries with any of our kids (if you don’t count when Izzy had to go in for stitches).